Greenock to Wemyss Bay Station. 12 Miles. Today was a great day for a walk – lovely warm late September sunshine only served to remind me how much I love the autumn in Scotland. We havent had a summer this year so it was lovely to actually walk along the sun warming my shoulders. Over the months my fleece has developed a musky odour which isnt unpleasant but always will remind me of all the walks I have done. Once the sun shines and I up the pace a little I detect the scent of long arduous miles that have come and gone. I am finding it more difficult to look forward rather than back now; probably because the bulk of my walk is completed now and there is only a couple of hundred miles to go till the end. I get flashbacks in my mind of places I have visited – that I cant place in my mind where they are exactly. Similar curves of a road – a certain way the light falls on a hill or on the sea. I am also if truth be told getting a bit melancholy about the whole thing – I think partly its because I know winter is just around the corner. The cooler days are ahead – and with it comes the associated smells of decaying leaves and woodsmoke. 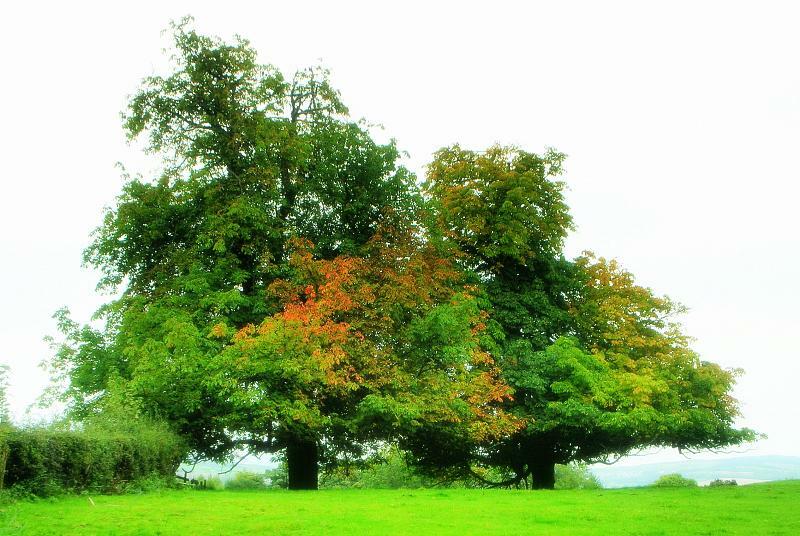 The colours on the trees are turning and I think we will have a spectacular display this year. 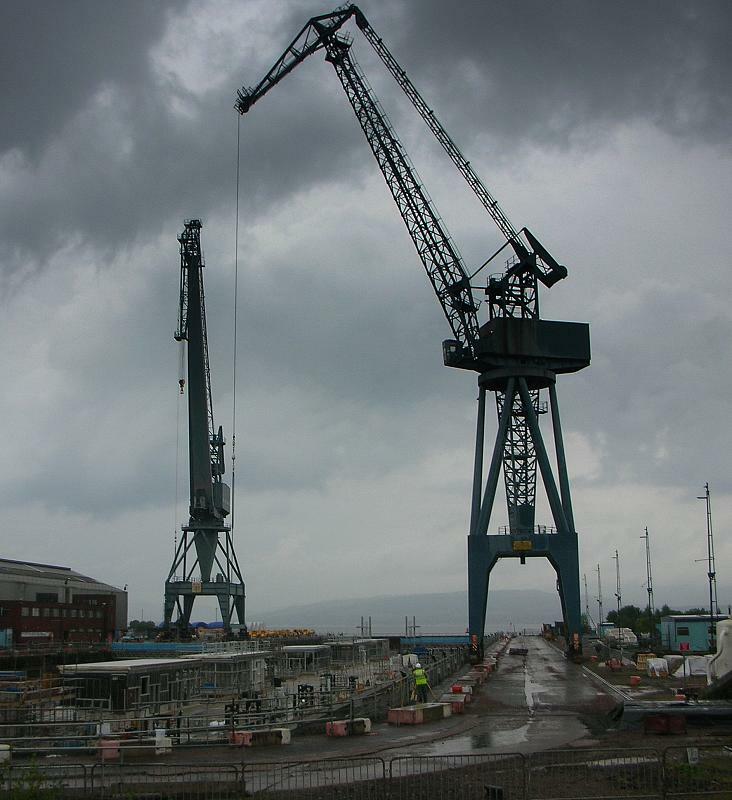 I walked around the “bend” at Gourock after passing through the shipyards of Greenock and started heading south. I could see over the Clyde towards Dunoon and felt I had come a long way since Inverary. 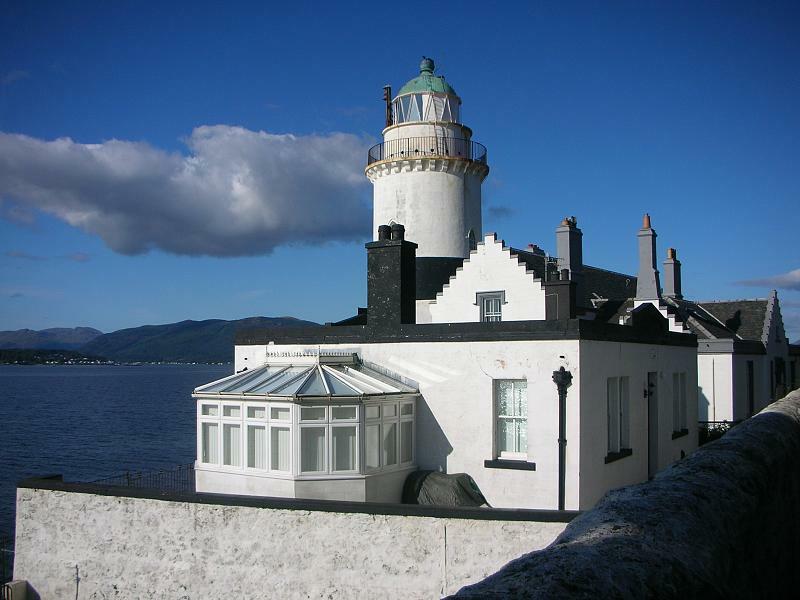 I passed the Cloch lighthouse and moved along south. 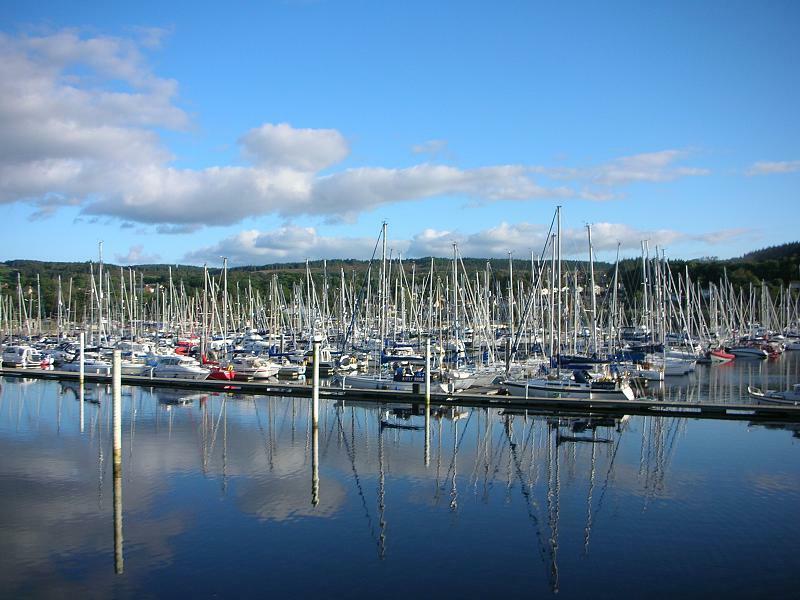 There was a path off the main road which led on past the forest of masts from the yachts at Inverkip marina. 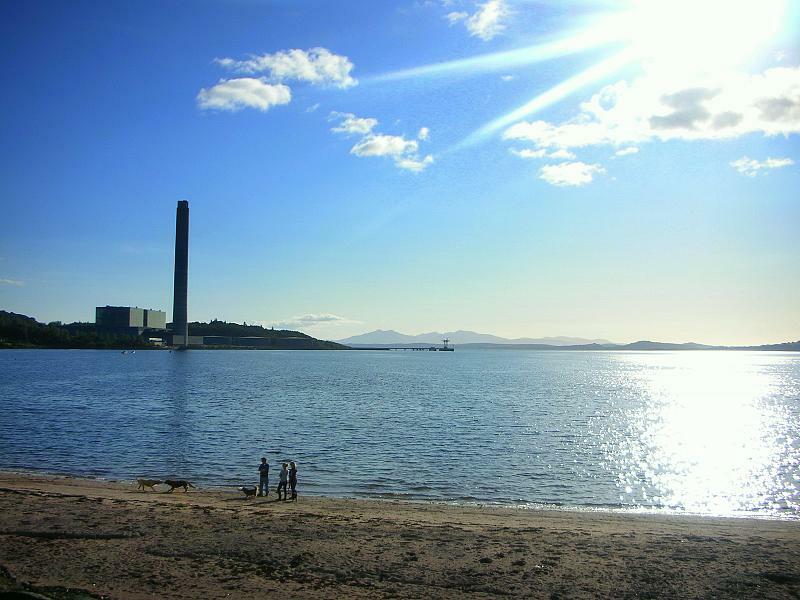 Eventually the looming chimney from the Huntertson power station got closer and closer and it was strange to think I had gazed on that from across the water and wondered then how long it would take me to reach the point where I was now. 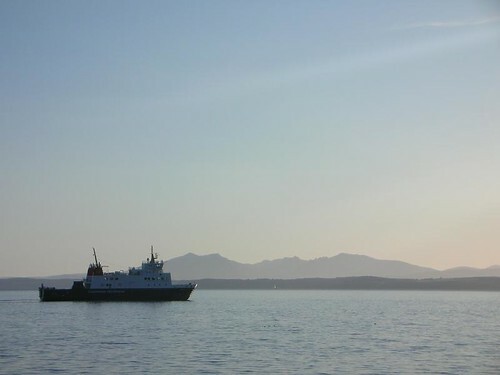 As I approached my final destination, which was the railway station at Wemyss Bay, (which surely has to be one of the most photogenic railway stations in Scotland), I caught sight of the ferry steaming from the pier towards Rothesay on the island of Bute. A lovely end to a lovely day’s walk. This entry was posted on Monday, September 22nd, 2008 at 11:45 pm and is filed under life, photography, Scotland, trail, Travel, trek, Uncategorized, walk. You can follow any responses to this entry through the RSS 2.0 feed. You can leave a response, or trackback from your own site. 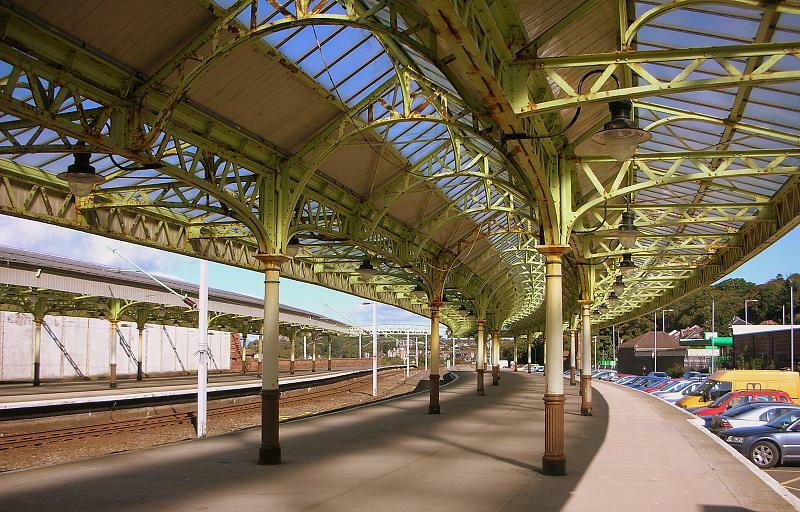 3 Responses to Greenock to Wemyss Bay Station. 12 Miles. Beautiful photos, great words, a really nice feel to this post. This is my first time here – I’ll definitely be back.